Designed with simplicity with a touch of soberness in its work makes a masterpiece. Be the sunshine of everyone’s eyes dressed in this remarkable pista green lehenga choli. 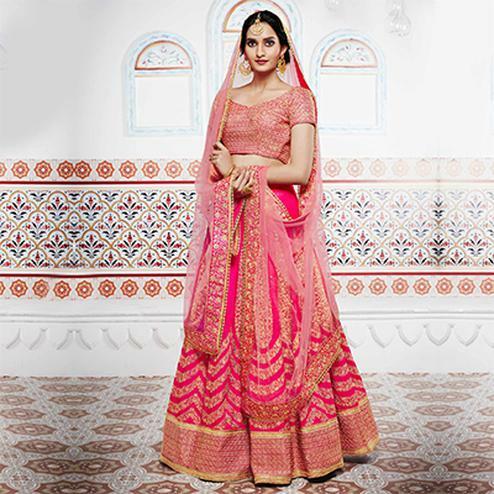 The lehenga is beautified with thread and zari embroidery work on handloom silk. 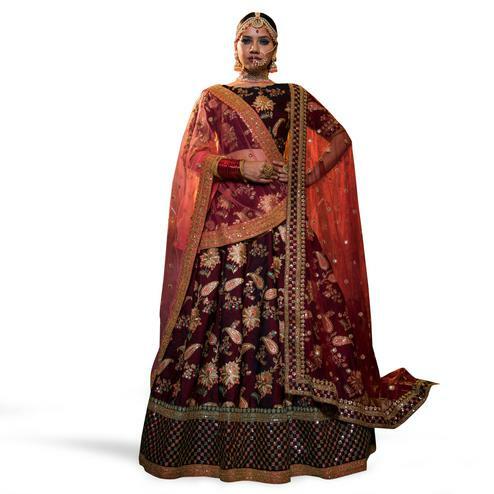 The choli is made of raw silk with embroidery work. 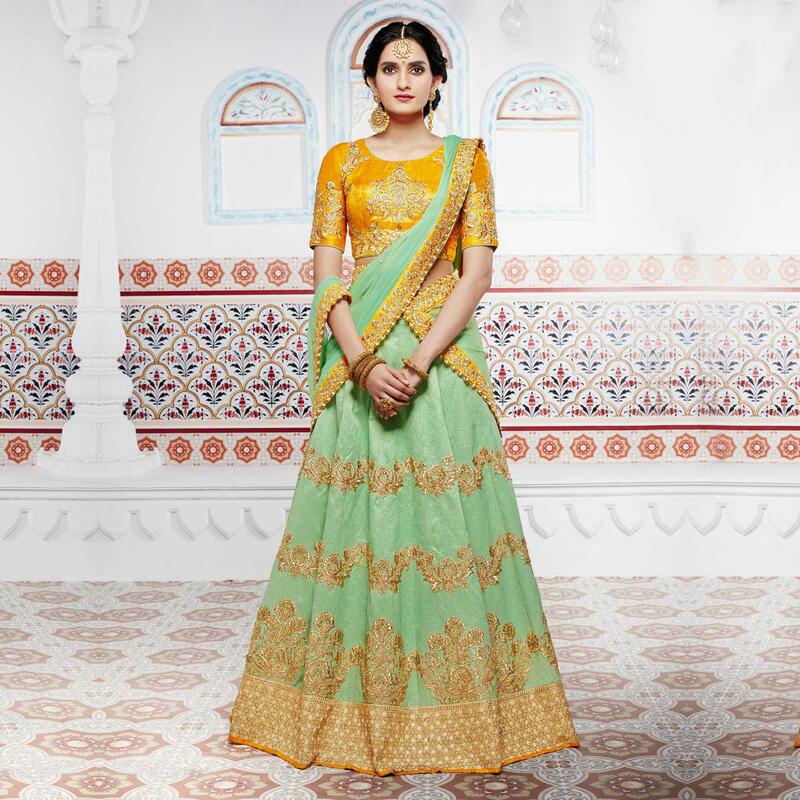 The dupatta is made of chiffon with zari embroidered work border that gives a flawless look. 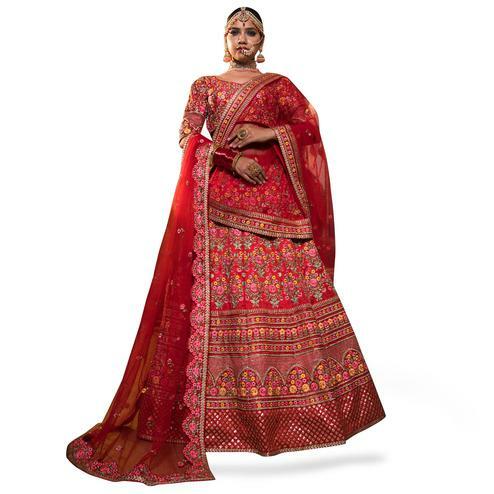 Specially designed to wear for wedding functions engagement ceremonies and special occasions. Teaming this dress with golden jewelry would be an added attraction.